Kali: ​Aardvark Learning Academy has helped to enrich my knowledge of math, greatly. They have provided me with the wonderful tutor, Shyla, who has not only helped to enhance my math skills, but also my confidence in myself. She is patient, understanding and always finds new ways to challenge me and my thinking skills. I am so grateful to have a tutor like Shyla, who is not solely focused on teaching but also building a relationship and connection with her students. Shyla, has made a positive impact on me and my education. She has overall, strengthened me as a student and instilled in me the desire to learn. Britney: "Darian and I have built a strong relationship and I think that I have gone a long way from when I started this program three weeks ago. Darian covers the material thoroughly and frequently recaps which helps me understand and learn the material better. My attitude towards math has really changed because I went from not really understanding it and not being comfortable with it to be pretty comfortable with it and understanding it a lot more. I really like how the Instructor helps me do everything teaching me the material and makes sure that I understand it and then he gives me a really easy question until I get comfortable with it, and then he gives me a fairly difficult word problem." Sarah: The best part of studying calculus and math online is that I can do so in the comfort of my own home rather than having to drive somewhere to get tutoring done. 100% I recommend this math program to other Math students to study online & one-one with Aardvark Math Instructors. The A+ Math program builds on the foundations established to introduce higher functioning math skills (Linear Equations, Vectors, Trigonometry). Students that already have strong foundations in Math can expect to focus more on conceptual thinking and practical applications of numeracy skills. 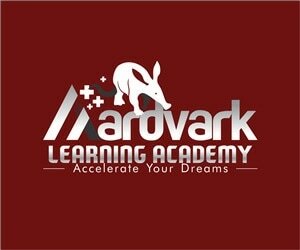 Aardvark Instructors help students with homework & assignments so that they have the confidence to succeed on tests and final exams from Grade 9 through to Grade 12 Maths. Students that have strong literacy skills (reading, writing, reflective thinking) are also able to apply these skills in Math. Aardvark accelerated Math program recognizes the importance of a literate approach to mathematics and capitalizes on Grade 9-12 students strengths, abilities from other subjects to learn & develop new skills in Math. Students that already excel in writing can find new ways to access and enjoy learning Math. Adults seeking academic upgrading in Maths (statistics, probability, calculus) English & Science tutoring (chemistry; biology); we have the A+ Instructors here waiting for you to succeed. Typically, Adults select Online Learning because it offers the greatest flexibility to balance work, family & study schedules. See our positive Testimonials for adult learners at Aardvark Learning Academy; register now & give your future self an A+. Once students in Grades 9-12 literacy skills have been accurately assessed, the focus quickly moves to enhancing logic, argument, creativity and fluency with the different genres of academic English necessary to succeed on the OSSLT, Ontario secondary school literacy test. Aardvark's focus on Cognition and not just rote memorization ensures that our students master reading and writing skills that allow them to exceed expectations in reading, discourse, debate and writing essays & English exams. 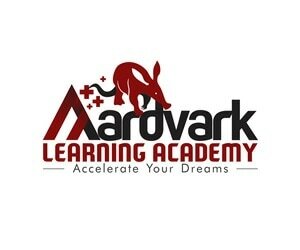 Meet the A+ Teaching Team at Aardvark!